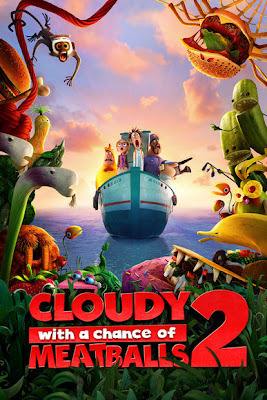 The next highly anticipated family film is the animation Cloudy with a Chance of Meatballs 2 from Sony. I'll try to keep updating contests and screenings that I come across on this page as I find them. So check back often. Details: Win pair of passes for Regal Union Square. Details: Follow @Prinz_Lee for codes for passes for Saturday, September 21st, 2013 screening. Details: Enter code into Gofobo for a pair of passes for Saturday, September 21st, 2013 screening. Code available in sponsor's site. Details: RSVP by phone for up to 4 people for Saturday, September 21st, 2013 11:00am. Details: Win a trip for four to the premiere in New York City. Details: Win passes to the screening on Saturday, September 21st, 2013 10:00am. Contest begins September 9th. There will be up to 15 winners.